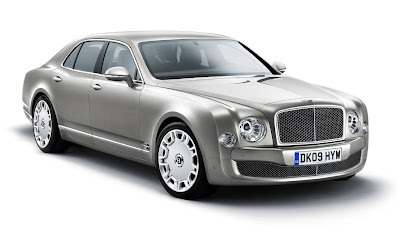 Here is the auction for chassis number 1 of the new Bentley Mulsanne. This is what the VIN may look like SCB????FX9CX00001. The first two ?? 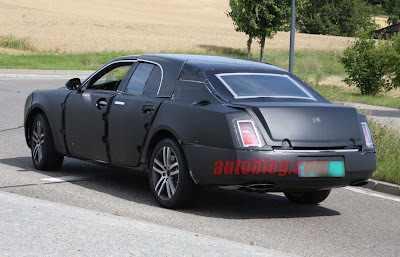 will be for the new Mulsanne, and the second two ?? will be for the new engine. It looks like on the streets of Mt Victoria in Hong Kong this disaster happened. Yep look closely at the car. 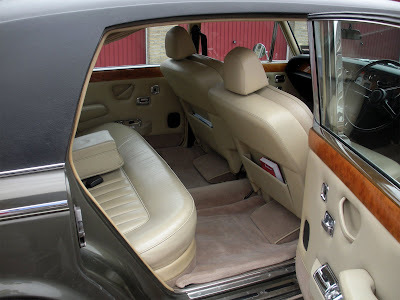 It is a factory stretched Rolls Royce Silver Spur LWB Mulliner Park Ward. Ouch! There is a lot of wood in the car. 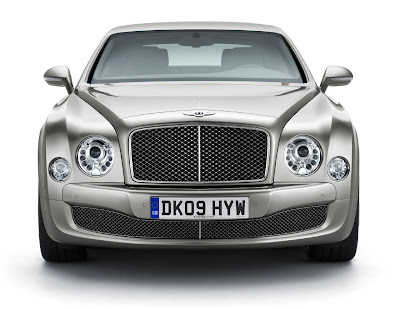 This is the final video in relation to the Bentley Mulsanne launch. I have enjoyed this Bentley video series, but with this last one I am surprised that the first two shots of the original Le Mans footage is the wrong aspect ratio. It is all squished with short people and cars. I would have through they would have got that right! Jeremy Clarkson does make Top Gear a top show. He even reviewed this Hooper 2 door coupe. 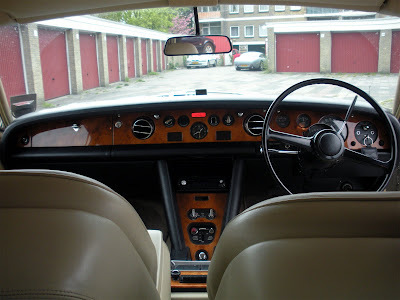 A reader Jurriën has sent in some great information about his car. 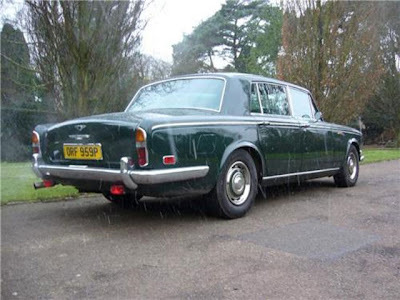 He starts with compliments on the website etcetera, then states, "The only Bentley type that I’ve not (yet) found on your website is the T Long Wheelbase." He is indeed correct. 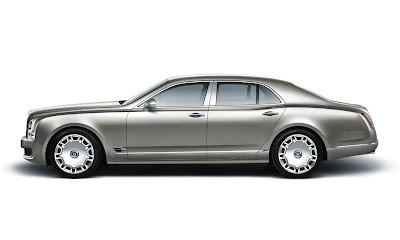 After 500 posts, I have never mentioned the Bentley T LWB. And luckily enough Jurriën owns one! 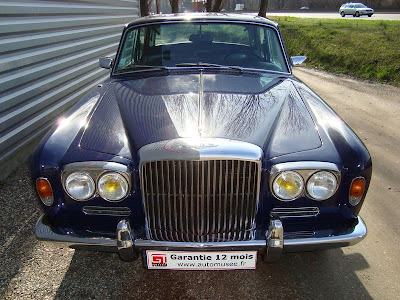 The Bentley T Long Wheelbase was made from 1971 till 1976 and a grand total of just 9 yes, nine Bentley T LWB cars were made. 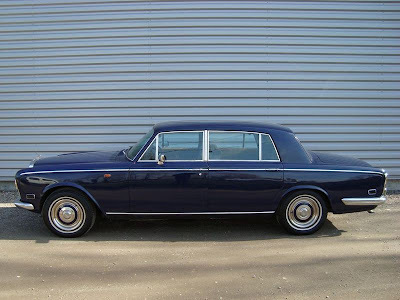 It is certainly a special car to own - and more rarer than Rolls-Royce Phantom IV. The very first car was LBX11156 and the final car made was LBH24316. Jurriën happens to be the proud owner of the final T LWB ever made, LBH24316. 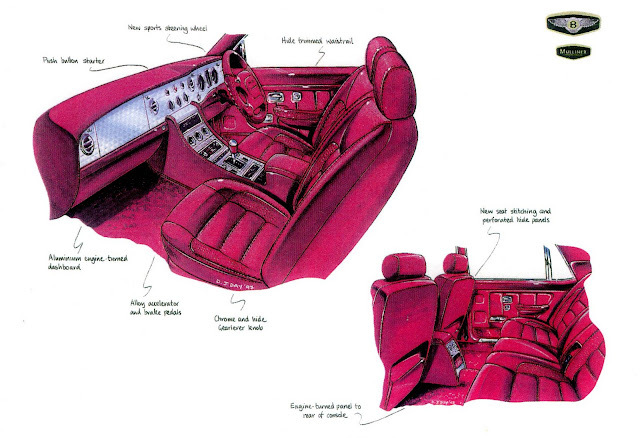 Jurriën also supplied the following quite interesting information about his car. 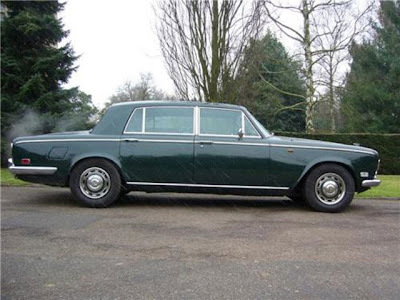 The car was ordered on 28 October 1975 by Sir William Atkins, the founder and chairman of WS Atkins plc, from Rolls-Royce & Bentley dealer Lex Mead Weybridge. 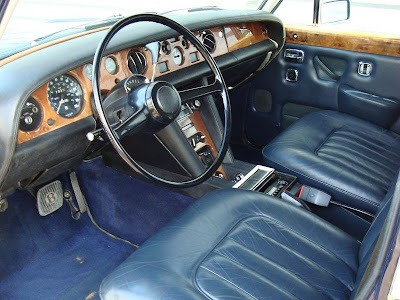 The car is specified as a Bentley Long Wheelbase without Division and there was unusually no mention of the T-series designation. The exterior colour combination is Moorland green with a black Everflex roof covering. 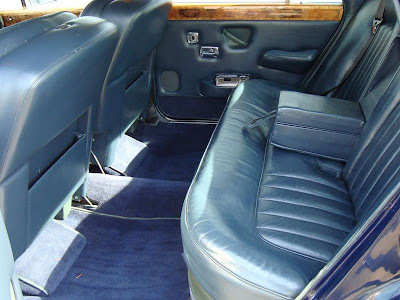 The interior is finished in Beige Connolly Vaumol leather with Cumberland Stone carpets. Production of the car started on 29 December 1975 which, coincidentally, was Jurriën's 2nd birthday. 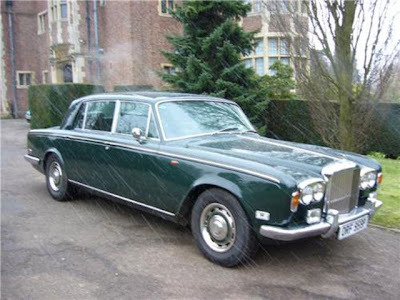 On 5 May 1976 the car was delivered to Sir William. 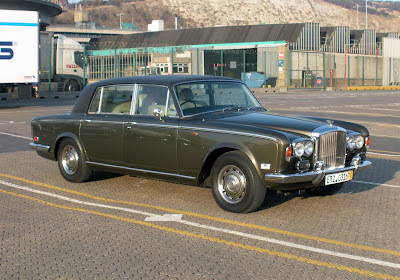 Sir William was always chauffeur driven in the T LWB and kept it for 4 years. The second owner kept the car for well over 27 years. 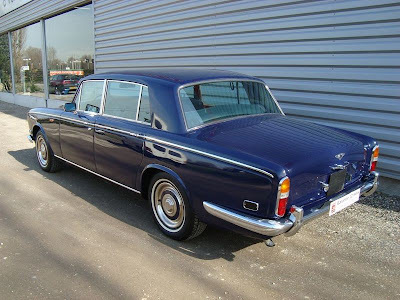 Since 1985 the car has been serviced and maintained at Royce Service & Engineering. On 29 December 2008 this car was given to Jurriën by his wife as a present for his 35th birthday, exactly 32 years to the date construction began. A lovely gift! 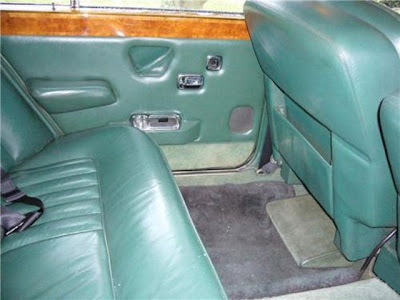 And this is the reason why you get the LWB - the rear leg room! It still has all the original features and comes with a complete history file which even includes the original sales invoice. Luckily one of the nine cars made is for sale in France. Here it is. 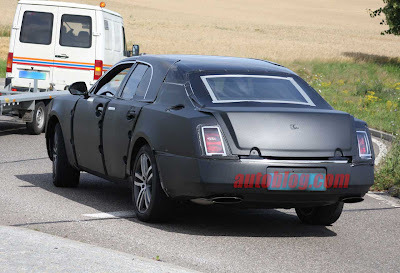 Observe the extra 4" in the rear window, a rear site with a Bentley grill. If someone knows the chassis number, do let me know. The asking price is 19900 €. It is for sale by GT-Spirit of La Boisse near Lyon. I do like the leg room! Thank you Jurriën for the great photos and information on his car. 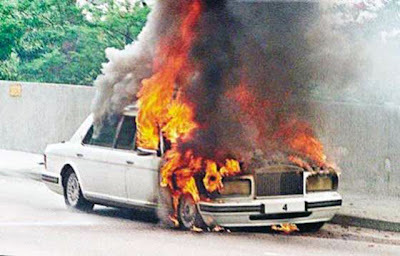 If people know or have photos of the other Bentley T LWB cars, do send them in. This was for sale on ebay a while ago. 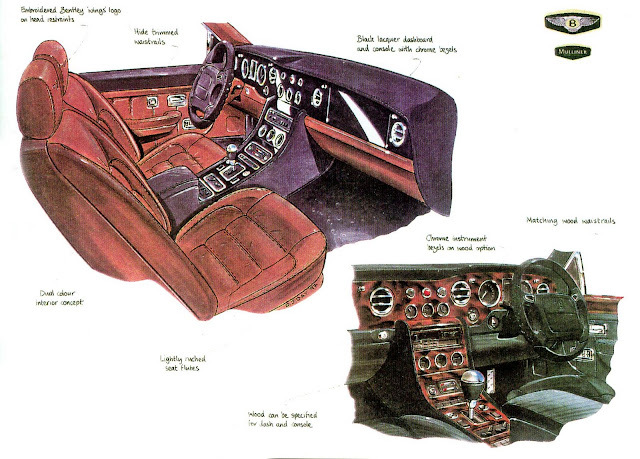 Yep, another Bentley T long wheelbase salon. The rear door gives it away! 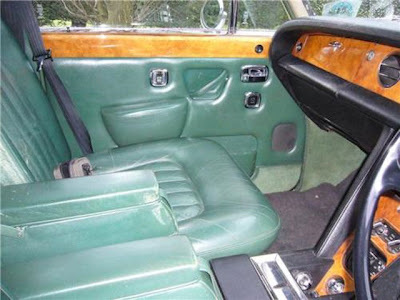 It is a 1976 model. With lots of leg room. Notice the division in the car if you look close. So that is 4 out of 9 Bentley T1 LWB in one post. Do sent in photos of the other 5! Darren Day styling engineer when working under the direction of Graham Hull produced this magnificent beast. The Bentley Turbo RT Mulliner. Very limited numbers were made. Send in your pictures. I certainly do enjoy all the added extras to the RT Milliner. How about going down to Crewe for the Parts Junket on 26-27 September and pick up some side vents, bonnet vents, front and rear bumpers, side skirts, flared wheel arches, mesh inserts, chrome sports wheels, and a full set of the aluminium engine-turned dashboard? Buy an extra set, and send them to me if you do. What nice timing to let a new Rolls Royce Ghost video slip onto the internet the same time as the Bentley Mulsanne is launched. I do like a bit of competition. This is my 500th post here on Bentley Spotting. 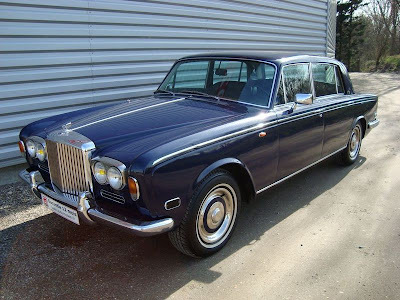 It has taken a couple of years to achieve, but it is still an enjoyment to find and post stories abour Bentleys and the occasional Rolls Royce. So you like the site? How about donating via PayPal to help keep this site going. 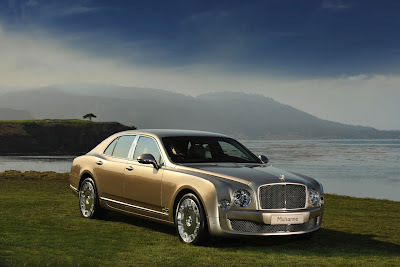 And with the 500th post why not introduce the new grand Bentley the Bentley Mulsanne. 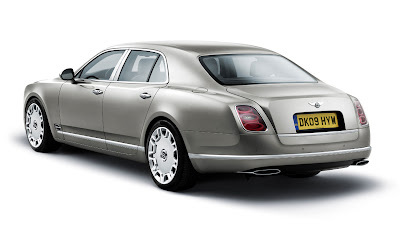 This is what Bentley Motors has to say about it. "(Bentley Motors, Crewe, England) Today, Bentley Motors unveiled the Mulsanne, the company’s all-new flagship grand tourer, at the prestigious Pebble Beach Concours D’Elegance in Monterey, California. 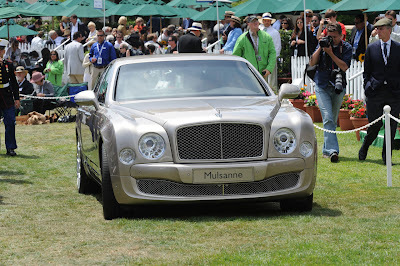 The Mulsanne is inspired by the company founder W.O. Bentley’s crowning achievement in 1930, the 8-litre. 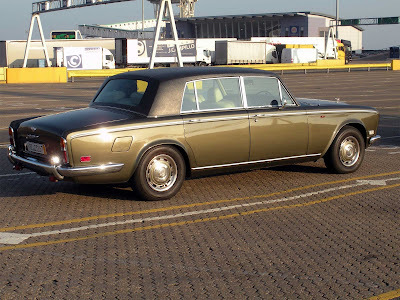 And it was W.O.’s own sensitively conserved company car that shared the podium with the new Mulsanne in Pebble Beach. This early motoring masterpiece represented the last big Bentley that was designed, engineered and built from the ground up by Bentley engineers - until now. Nearly 80 years later, while paying respect to this illustrious past, the new Mulsanne is a thoroughly modern statement of luxury driving and grand touring. 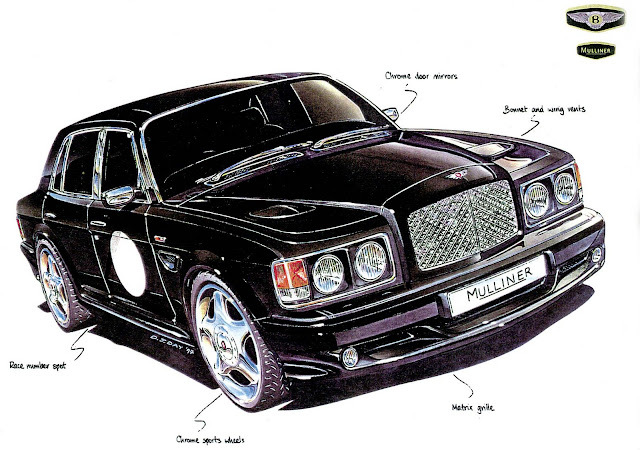 Conceived, styled and engineered entirely at Bentley’s headquarters in Crewe, England, the Mulsanne, with its completely new and unique platform, goes into production next year in a new state-of-the-art manufacturing facility within the Crewe factory." "The challenge we set our engineers was to create a new grand Bentley that would stand as the pinnacle of British luxury motoring, offering the world’s most exclusive driving experience. They have responded to this challenge with real passion and the result is a luxury grand tourer that sets new standards in terms of comfort, effortless performance and hand-crafted refinement – the very qualities for which Bentley is renowned." The Bentley design team, lead by Dirk van Braeckel, have created a flagship that offers the classic sporting, styling cues long-associated with Bentley - expressed in a thoroughly contemporary way. "From the very first hand sketches in the styling studio, we were inspired by the traditions of the grand touring Bentleys and have sought to evolve this story for a new generation of Bentley enthusiasts." The return of the Mulsanne name to a car carrying Bentley’s iconic ‘Winged B’ emblem underlines the company’s racing pedigree and nowhere reflects that heritage better than the famed Le Mans circuit, the scene of no fewer than six Bentley triumphs. Few places offer a stronger or more emotive connection with the Bentley marque than the famed Mulsanne corner. The Bentley 8-litre displayed alongside the Mulsanne in California was first shown at the 1930 London Motor Show. It was the second-built and was W.O. 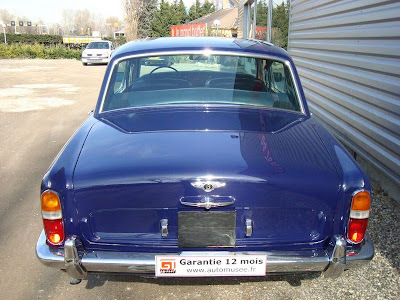 Bentley’s company car for two years. Capable of reaching more than 100 mph, the 8-litre demonstrated W.O. Bentley’s ambition and ability to build a grand luxury car capable of surpassing every other leading manufacturer of the day. A total of 100 cars were built in 1930 and 1931. 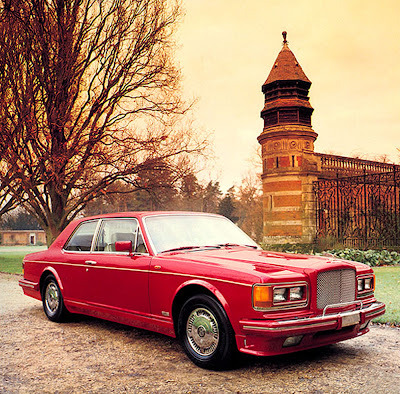 “The 8-litre’s breathtaking performance and quality was perhaps the finest example of a ‘pure’ grand Bentley. Every mechanical detail carried W.O. Bentley’s unique stamp and it was the clearest demonstration of a car built without compromise,” commented Dr. Ulrich Eichhorn, Member of the Board Engineering. "The Mulsanne has been designed with exactly the same guiding principles, so it is entirely fitting that these Bentleys from different eras share the same stage." 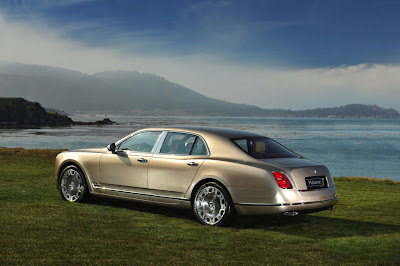 The Bentley Mulsanne will go on sale from mid 2010. It will also be displayed at the forthcoming IAA Frankfurt Motor Show (15-27th September, 2009) where Bentley Motors will provide additional product information." 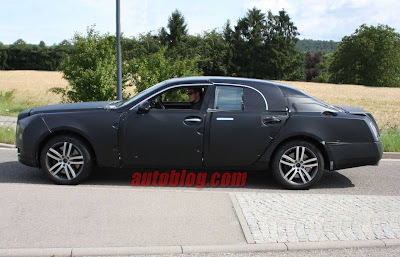 My prediction that it would be the Bentley 8 was a little off, but to select a name that has already been used, well the Mulsanne is on it. Here is the latest video relating to the release of the new grand Bentley. At Bentley colour is personal. The music by the way is by film composer Mario Grigorow titled "Bentley Suite Part I"﻿ and was produced by Siblings Music. 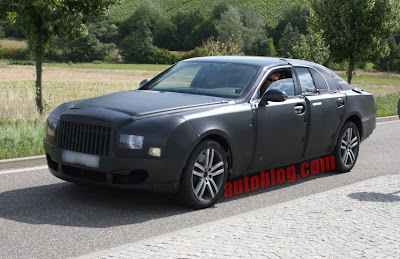 Autoblog have published spy shots of the new grand Bentley. The camouflage is quite significant. 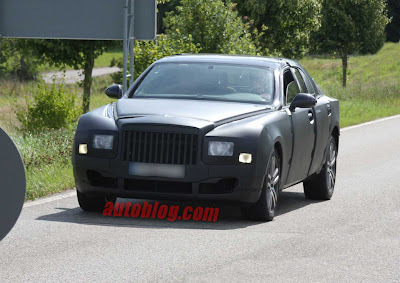 You can identify the large single headlight that is on the new car, similar to the R types and the S1 and S2 Bentleys. Twin oval exhaust pipes can be seen. 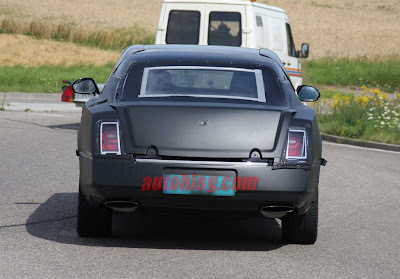 And the rear lights do look very similar to the current Bentley Brooklands. All will be revealed at Pebble Beach soon. Thanks Autoblog for the pictures.